Rhubarb. Pronounced Ru-barb, is a funny sounding name for a vegetable isn’t it? Well, as funny as it may sound, it is a simple plant to grow. I wanted to begin growing it a few years ago because I heard of a Rhubarb Pie. Once I knew there was a pie in my future, I got busy planting. Rhubarb is one of the few vegetables that is mostly served sweet. However, as simple as rhubarb can be to grow, you still have the issue of planting in proper and well cared for soil. Unsure if you have what it takes to grow the vegetable that can pass as a sweet treat? Follow along with me as I fill you in on all you need to know about growing rhubarb. This variety of rhubarb is one of the red options. It contains a lot of juice which people really enjoy when eating rhubarb coated in sugar. 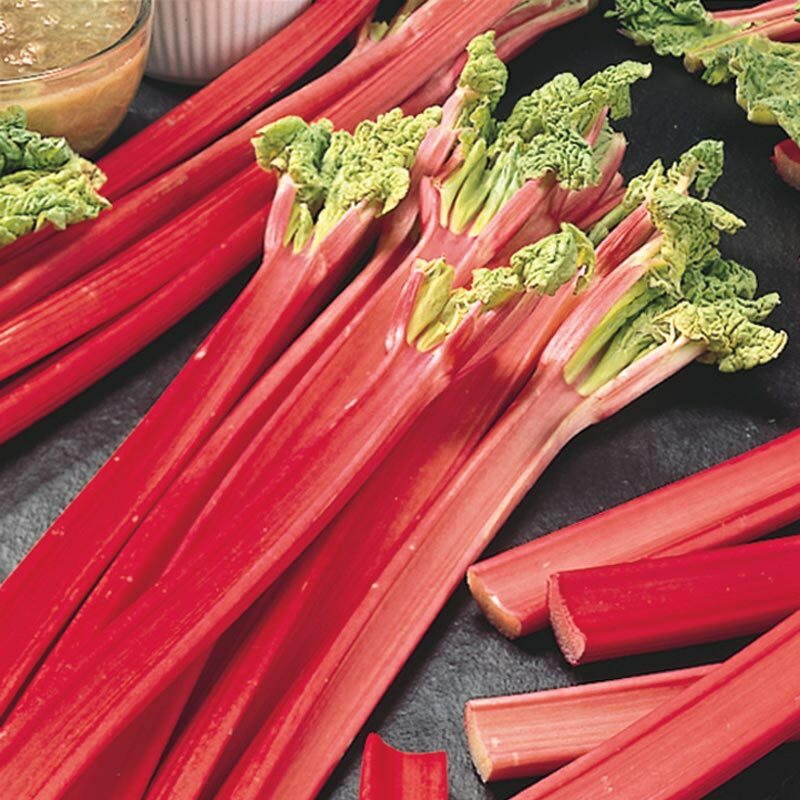 If you want red rhubarb to enjoy as a side dish or a dessert, then you might enjoy this classic variety. As the name suggests, this is another red variety of rhubarb as well. When I grow rhubarb, I like to grow it to freeze it, can it, and bake with it. Now, if this is your reason for growing rhubarb too, then you’ll like this variety because it is handy in all of those areas. 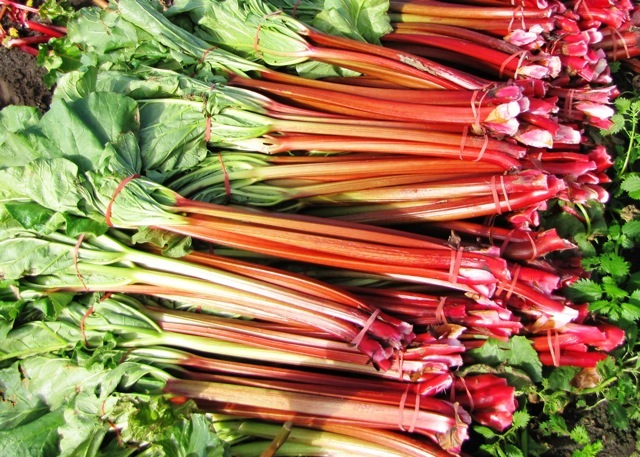 Canada Red is another red option for rhubarb. 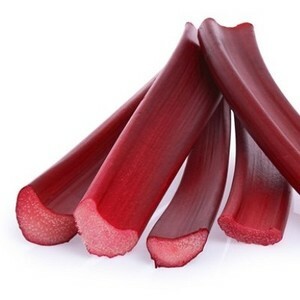 When you think of rhubarb, many people immediately think of the bright red stalks. Well, if this is the look you desire in your garden when growing rhubarb, then you should consider this variety. 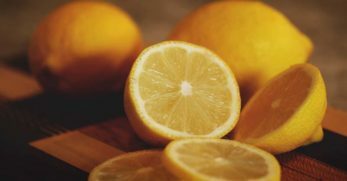 It boasts a sweet flavor and packs a lot of juice as well. This is the last of the extremely red, popular varieties of rhubarb I’m going to mention here. 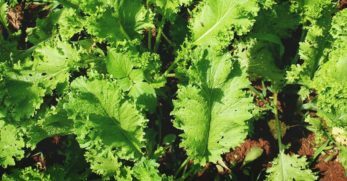 The Colorado Red variety looks like red celery when it grows. That is to give you an idea of the size stalks it can produce. Also, if you are looking for a pretty red rhubarb variety to use to make scrumptious jams, then this variety is great for that as well. Victoria is one of the oldest varieties of rhubarb. The stalks aren’t small, but they aren’t large either. It is a nice mid-size producer. But the stalks are more of a deep red versus traditional bright red coloring. The red stands out closer to the base of the plant. When you look towards the leaves, you begin to see the stalk turn green. 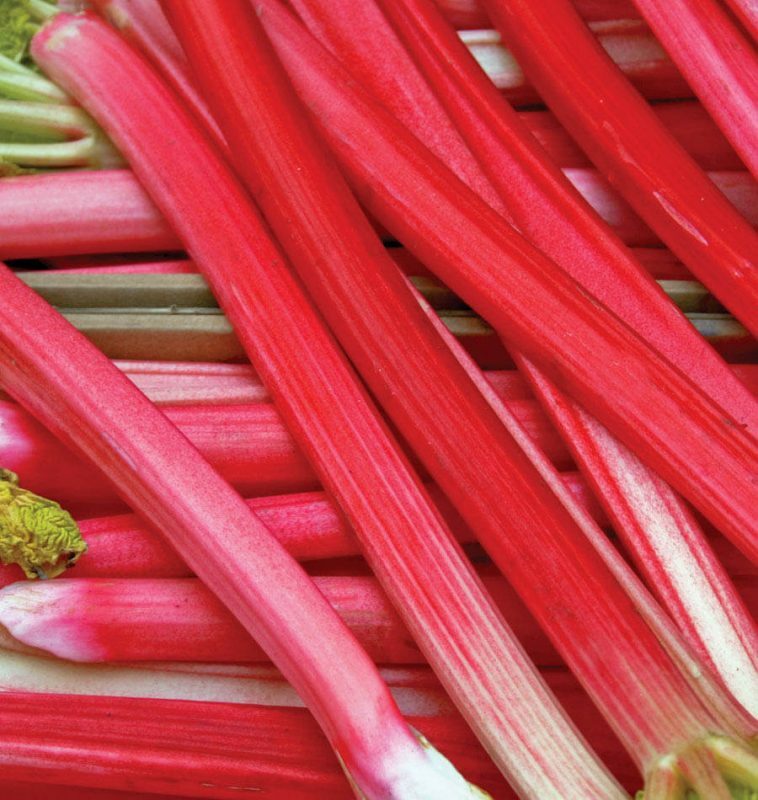 Not everyone who grows rhubarb wants a red variety. Some people prefer the green variety of rhubarb. If this is your case, then you’ll like the Riverside Giant variety. 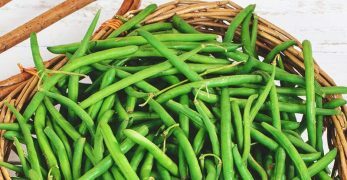 Not only are the stalks green, but this variety is also great to be grown in cold weather. It is very durable and therefore cold-hardy. 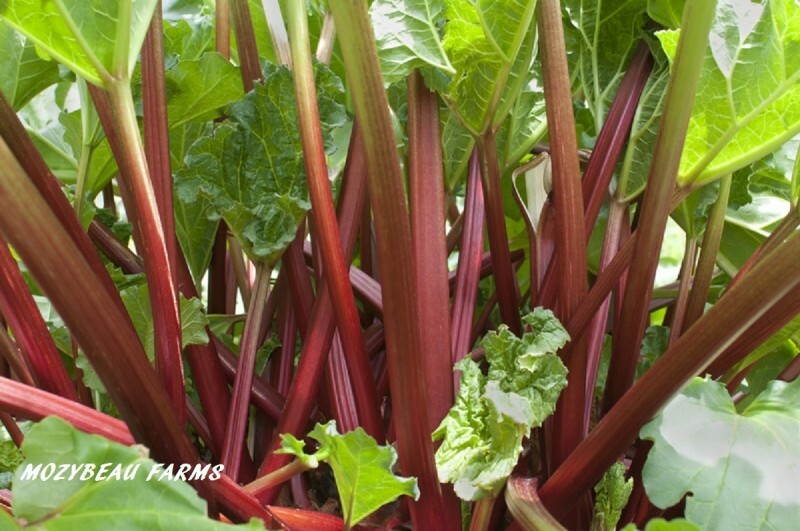 Would you like to grow a green variety of rhubarb that doesn’t have a robust flavor to it? If so, then this could be your variety. This variety’s flavor is tamer than some. It is also recognizable because it produces a solid green stalk. Though there is a hint of red at the base of the plant. This variety of rhubarb is a fun variety. It doesn’t just produce a plain colored stalk. The stalks produced here are polka-dotted. Not only are the stalks pink polka-dotted, but they are also known for being the sweetest variety of rhubarb that is grown. This is another fun variety of rhubarb to grow. It doesn’t produce a basic colored stalk, either. Instead, it produces green and red striped stalks. 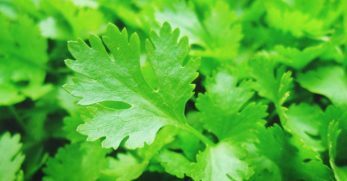 Also, this variety produces a pleasant scent and is also known for being a tender variety. It, too, is known for not having a flavor that is overpowering. The Sunrise variety of rhubarb is another variety that is outside of the box from what you might think of when you think rhubarb. 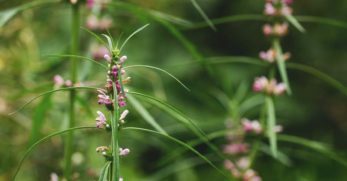 It produces pink stalks. However, don’t let the lighter color fool you. 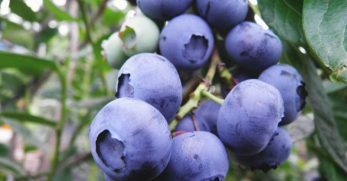 It is still a great variety to use for canning, freezing, and making jelly too. Rhubarb is something you plant, and it takes a couple of years to produce a good harvest. This variety is one that produces early, as the name suggests. If the weather is cooperative, it can produce in early spring which is months earlier than most other varieties. Also, this variety is known for being more disease resistant. 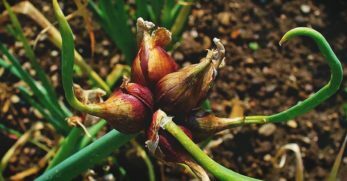 You can also, usually, get a small harvest from this variety in the first year. Our final variety is the Glaskins Perpetual. 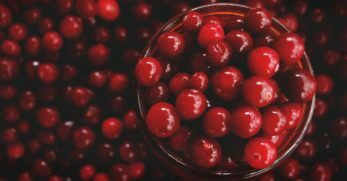 This is another bright, red variety that produces flavorful stalks. 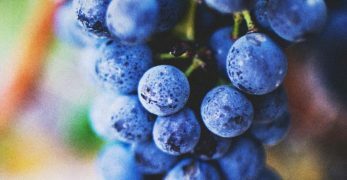 This variety is the only one grown that is meant to be harvested late in the season. Basically, rhubarb has oxalic acid in it. This is what gives raw rhubarb such a bold flavor. 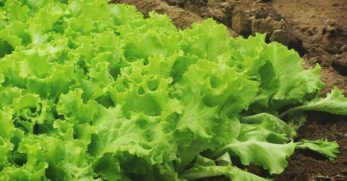 In most varieties, the later the season the higher the amount of oxalic acid. In this variety, the oxalic acid is low which makes the rhubarb palatable longer. If the oxalic acid gets too high, then the rhubarb becomes unpalatable. Have you ever heard the saying “There is more than one way to skin a cat?” I’m not sure who came up with such a saying, but it means that there is more than one way to do something. When planting rhubarb it is important to choose the best location to get the best harvest possible. The best location will be an area that will receive full sunlight. Also, you’ll want a place where the soil is well-drained. 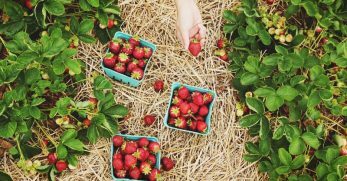 The ideal location will also be where the soil temperatures can drop below 40 degrees Fahrenheit during the winter and have lows of around 75 degrees Fahrenheit during the summer. Once you’ve found such a location, then you will want to work compost or manure into the planting location. Rhubarb likes to feed which makes this step very important. It needs the nutrients in the ground to have something to feed on. If you want to get technical to make sure that your soil is the right pH, you can test your soil. Rhubarb likes soil that has a pH level of 6.5. Next, you need to decide what time of year is going to be best for planting the rhubarb. In most zones, you can either choose to plant the rhubarb in fall or very early spring. If you choose to plant in early spring, you’ll want to be sure to do so as soon as the ground becomes workable. Be sure to plant prior to the roots of the rhubarb awakening from dormancy. However, if you choose to plant in the fall, then you need to wait until the roots of the rhubarb have fallen dormant. You have multiple options for planting rhubarb. I’m going to discuss each option a little later in this section. However, for the time being, let's assume that you are either going to be planting one-year crowns of rhubarb, or you are going to be planting rhubarb from seed. 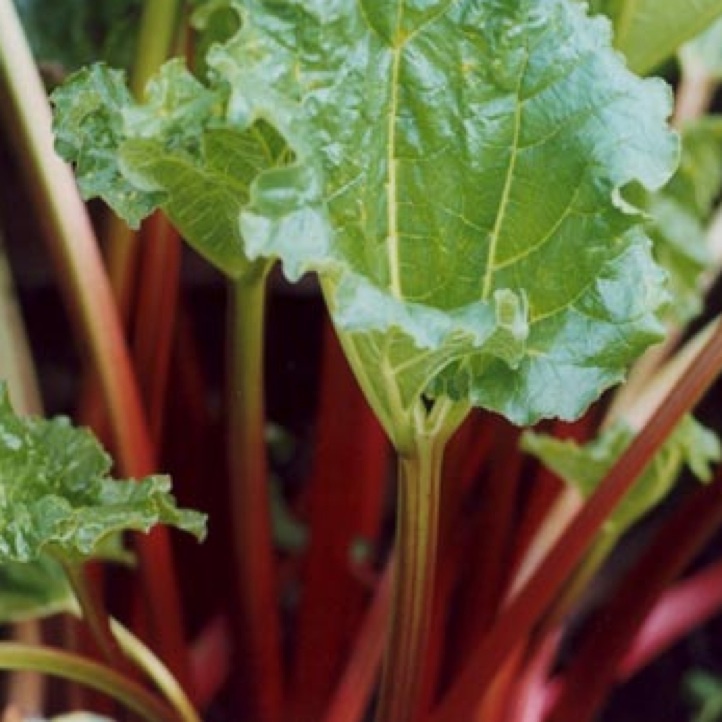 If you choose to plant rhubarb from seed, it is important to start your seeds eight weeks prior to the last frost. This will give them plenty of time to grow and get into the ground before the weather warms too much. 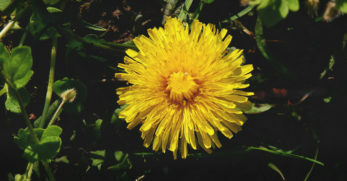 If you plant one-year crowns, you can purchase them and plant them when the ground becomes workable in early spring. Either way, when you go to plant rhubarb, you need to make sure that you dig a large hole for each plant that is around a foot deep. Rhubarb has large root systems making spacing important. Then you need to space each plant around four feet apart and plant each crown two inches deep in the soil. However, the biggest thing you should not do is fertilize when planting. You will not fertilize the entire first year of planting rhubarb because being exposed to nitrates early on in life can kill your plant. 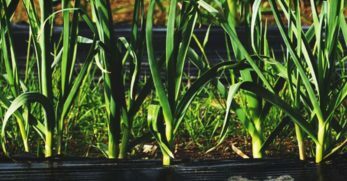 In short, you lay the groundwork of nutrients by sowing compost into the soil prior to planting, you water the crowns when the soil around them becomes dry, and you leave them alone after planting beyond that. Unless you plant a special variety that is known for producing an early harvest, you probably will not receive a harvest from your rhubarb in the first year. This means that you need to have patience and realize that you should receive a larger harvest with each passing year. Those are the basics to planting rhubarb. Now, we are going to dive a little deeper into some of the specifics of the different growing options. If you are working on a budget, or just want to see your rhubarb through from start to finish, then you may decide to grow the rhubarb from seed instead of purchasing crowns. In most instances, you are going to start your rhubarb seeds eight weeks prior to the last frost. 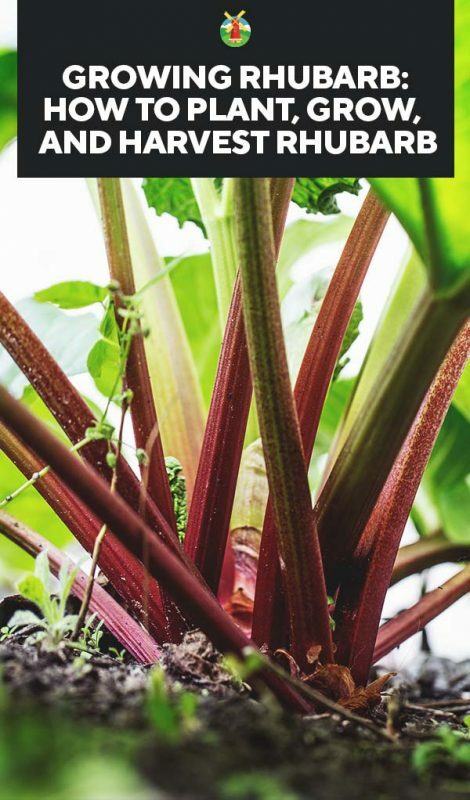 In the case that you live in zone 9 or 10 and are planting rhubarb as an annual, then you’ll need to start your seeds in late summer instead of late winter or early spring. Once you’ve figured out when you should be starting your seeds, then you’ll want to soak the seeds in water for around an hour before planting. This should soften the casing on the seed and speed up germination. Next, you’ll want to plant the seeds. 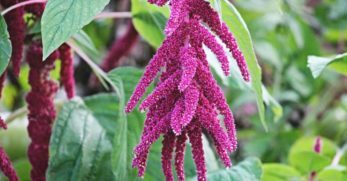 Be sure to plant them in compost or in another quality planting mix. You should plant two seeds per each two-inch pot. Also, keep in mind, peat pots are a good option for starting seeds because they make transplanting a lot easier. Once your seeds are planted, you are ready to learn how to care for them. You will need to make sure that your rhubarb stays well-watered. There is a fine line between under-watered, well-watered, and drowning. Now, you can be sure to stay in balance by using the soil test. When the soil looks dry on top, stick your finger into the soil. If your finger comes out dry, then it is time to water your seeds. You’ll do this with a spray bottle in order to not over water. If you keep an eye on the soil daily and water only when the soil is actually dry (and use a spray bottle), then you should be able to keep the moisture levels balanced. From there, you will need to let the rhubarb stay under grow lights until it is reaching a height of three inches or greater. By this time you should be getting near to moving the rhubarb outside. If so, then you’ll want to start hardening off the plants at least two weeks prior to transplant. Finally, you’ll need to transplant your rhubarb seedlings. You will do this two weeks before the final frost of the season. This will allow the roots to go into the ground while it is still cool. By the time you transplant, your rhubarb should be four inches tall. You will want to be sure to mulch around the seedlings to keep the roots cool and also to keep moisture even. If you live in an apartment or where you only have a small yard, then you might be interested in container gardening. 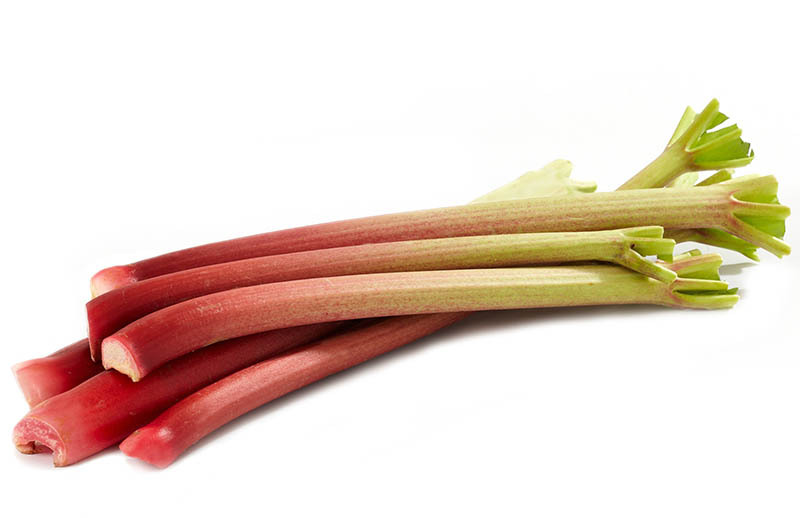 If so, then you’ll be happy to know that you can grow rhubarb in a container. 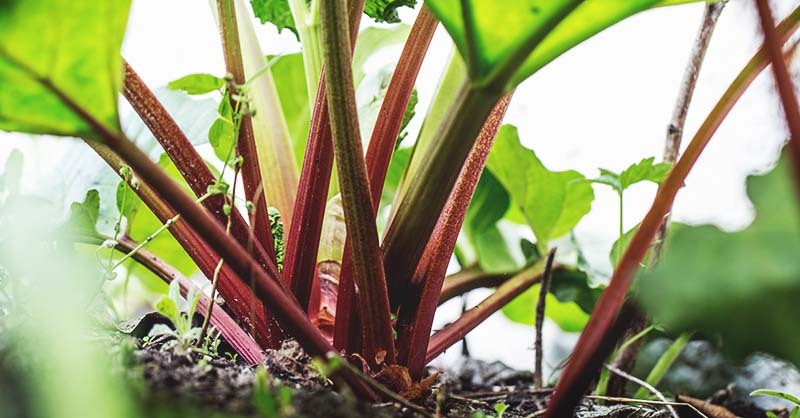 You’ll just need to make sure that the pot can hold around ten gallons of compost or planting mix because of the large root system of rhubarb. Raised beds are a great option, again, if you don’t have a lot of space, or if you are struggling with health issues. 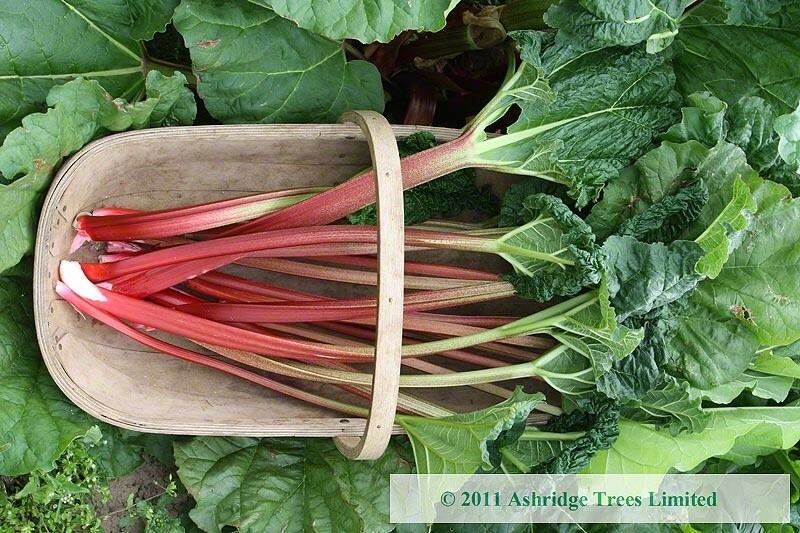 Therefore, if you want to raise rhubarb, then consider planting it in a raised bed. However, be sure that you leave enough room for the large roots. 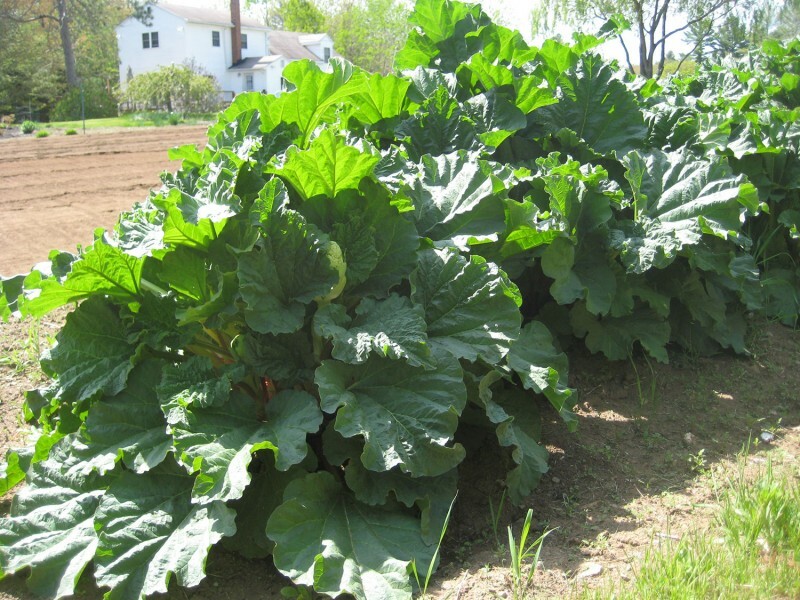 As discussed above, rhubarb would work perfectly fine if planted in a traditional garden bed. You’ll just need to keep in mind that in most zones, it is a perennial. This means, that you’ll need to plant it where the roots won’t be disturbed when the plant goes dormant. That way you can enjoy it for many years to come. Finally, you can grow rhubarb in a greenhouse setting. You can choose to have raised beds in a greenhouse, or just move your potted plant into the greenhouse when the temperatures begin to change to protect the plant. As you can tell, rhubarb is very versatile and can be grown in many different settings. Space should not be what stops you from growing this vegetable. It is important to understand upfront that rhubarb will grow differently depending on your zone. I wanted to fill you in on how that will look per zone. Then you can know what to expect depending on where you are located. In zones six and below, rhubarb is a definite perennial because these are colder locations. This means that you can plant your rhubarb and count on it producing year after year as long as nothing drastic happens. Zones seven and eight begin to get a little warmer. This can interfere with the production of rhubarb. It will still be a perennial, but it may not produce as long or live as long as it would in some other cooler zones. Zones nine and ten are warm zones. This interferes with rhubarb’s growth significantly. Rhubarb is usually grown as an annual in these locations. You can still enjoy it, but don’t expect it to come back year after year in such a warm climate. Like with almost any other plant, mulching is usually a good idea. The reason is that a thick layer of mulch can help hold in moisture, cool the roots, and keep the weeds down. But if you add a thick layer of manure in with the mulch, then the manure will compost in with the mulch and feed the plant as well. It is a good idea to do this with your rhubarb to keep it watered and healthy. I just mentioned how important mulch can be to your rhubarb because it helps hold in moisture. It is still important to make sure that rhubarb is well watered. However, you will want to focus on watering rhubarb during the hot summer months. This is the time of year that is hard on this perennial. Keeping it well-watered is a must when providing proper care for this plant. 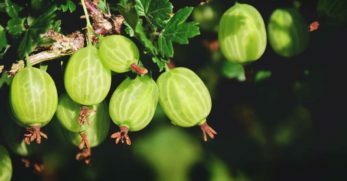 Anytime you see a plant begin to bolt (or go to seed) this means that it is getting ready to stop producing, and will only produce seed for the next growing season. However, you don’t want this. The first signs of seeing rhubarb stalks going to seed, you’ll want to cut those stalks off. It could prolong your harvest by taking this one simple action. I told you it is important not to fertilize rhubarb in the first year. The reason is that if nitrogen directly touches the roots it can kill the plant. But after year one, when the ground is just starting to thaw, you should fertilize with a high-nitrogen fertilizer. If you do this when the ground is just starting to thaw it will allow the fertilizer to go into the ground, where the rhubarb can feed and not go directly into the roots of the plant and damage them. Next, you’ll want to be sure to keep the weeds out of your rhubarb. Rhubarb is pretty good about being left alone by both bugs and disease. However, the stipulation is that you can’t have weeds in your rhubarb to draw them to it. If there is nothing there to attract disease or pest, then they usually will not come to your rhubarb. Finally, it is important to make sure that you split your rhubarb every three to four years. You do this to renew the life of your plant. There is a process of splitting rhubarb, and I’m going to walk you through it. When your rhubarb plant is becoming large, about every three to four years, you’ll know it is nearing the time to split it. When that time comes, you’ll want to be sure to split it when the plant is dormant. The best time is in fall or early spring. Once you’ve decided to split your rhubarb, you’ll begin by digging up the entire plant. This includes the root. You’ll dig about six inches below the surface of the soil to make sure that you get underneath the root and pull the entire plant out. Next, comes the fun part. You will want to divide out the root ball. It is a ball that is made up of the root of the rhubarb plant and buds. These buds will form new plants. When dividing out the root ball, you will want to cut down the crown and in between the buds. 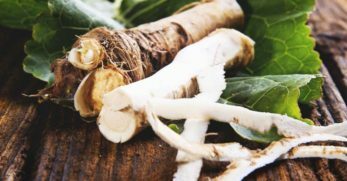 Then you’ll want to make sure that each section that you divide out has ample amount of root and one to three buds per division. Once you’ve accomplished this, you’ve successfully divided out the root. Finally, you’ll want to put the pieces of root back into the ground immediately, if possible. You don’t want them to dry out. You plant them just like you planted the original rhubarb. 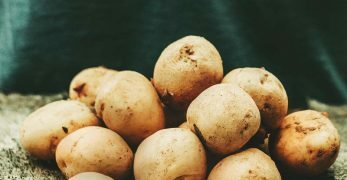 However, if you can’t plant the root pieces as soon as you finish dividing them, then be sure to put them in a plastic bag and keep them in the fridge to be kept cool. 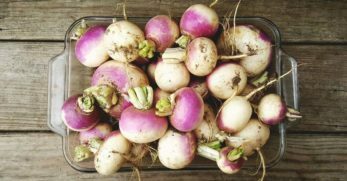 Once you are ready to plant them, you’ll want to place the root pieces in a bowl of lukewarm water to soak overnight before planting. Crown Rot is a disease that forms in the soil where there is poor drainage. This disease will damage the buds in the root system. When this happens, it causes the plant to produce weak and thin stems. This means less of a harvest for you. When you realize you have crown rot, you’ll want to dig up the entire plant. Be sure to get all of the roots as well. Then burn the plants impacted by this disease. You will not want to replant rhubarb in this location again. This is a disease that forms discolored spots on the leaves of your rhubarb. The spots can be brown, yellow, or even red. The red spots seem to be the worse as they are the ones that most often attack the stem of the rhubarb as well. Once you have these spots on your plants, you’ll know that you have leaf spot. It’s okay because this disease is one of the easiest to rid your plants of. If you have leaf spot, there is no major treatment. 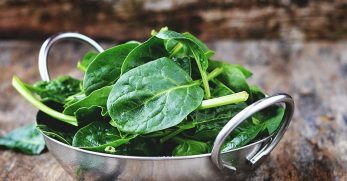 You’ll just want to take a sharp pair of pruning shears or scissors and trim any discolored portions off of the plant. Our final problem that comes with rhubarb is a pest by the name of a Rhubarb Weevil. This pest is also known as Rhubarb Curculio. When you have this pest on your plants, you’ll know. It is a good-sized beetle that has a long nose. These beetles will feed on your rhubarb and also make holes in the stem of the plant to lay their eggs. The solution for these beetles is simple. You will just have to remove them by hand. Since they are a good size, that shouldn’t be hard. But prevention is the key. You’ll want to make sure that there is no debris left around your rhubarb plant because Rhubarb Weevils will overwinter in that debris. Also, be sure that you don’t plant rhubarb around sunflowers or allow thistles to grow among your plants because these are breeding grounds for Rhubarb Weevils. Downy mildew is a covering that forms on your rhubarb in extremely moist climates. If you have periods of rain, then don’t be alarmed if this forms on your rhubarb. The solution to downy mildew is to make sure that you plant your rhubarb far enough apart that there is ample air flow. This will deter mildew from forming in wet conditions, usually. Snails and slugs are in every garden. They can cause damage to rhubarb because they will munch on the stems of the plant. There are many methods to ridding snails and slugs from your garden. One of the easiest is to crush egg shells and put them in your garden. Not only does this give your plants added calcium, but it also slices snails and slugs open when they crawl over them. You may be surprised that rhubarb does not have a plant (that I’ve found) that it absolutely cannot grow with. The biggest part of growing rhubarb is to know what parts of the plant to eat and which not. You should only eat the stalks of rhubarb. Unfortunately, the leaves contain a toxic level of oxalic acid. This makes them poisonous and gives you a great reason to toss them. However, when you go to harvest the stalks, you pull the stalk away from the plant and give it a gentle twist. If this doesn’t work, then use a sharp knife to cut the stalk from the plant. 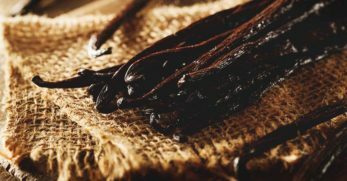 The stalks are best to harvest when they reach about 12-18 inches in length. Keep in mind though, if you begin to see stalks turning thin, then you need to stop harvesting. This is a sign that the plant is struggling for necessary nutrients. When you plant rhubarb, you need to understand that your harvest will improve as the years go by. The first year of planting, you shouldn’t harvest your rhubarb at all. But by the time you reach year three, you should have an eight to ten-week period where you can harvest from the plant. 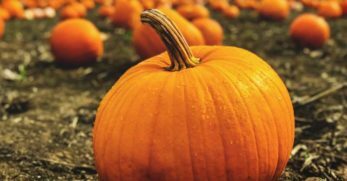 It is okay to harvest during year two but then do so sparingly. If you follow these rules, then you should get anywhere from one to two decades of life from each plant. Rhubarb should be able to be harvested two times per year in most zones that grow it as a perennial. You should be able to harvest the plant in the spring and fall. However, don’t harvest rhubarb during the summer. You will want to leave some leaves on the plant as well when you finish harvesting in the spring to protect the plant from the heat of the summer. If you harvest rhubarb during the sweltering summer heat, it could cause unnecessary stress on the plant which could cause it to die. 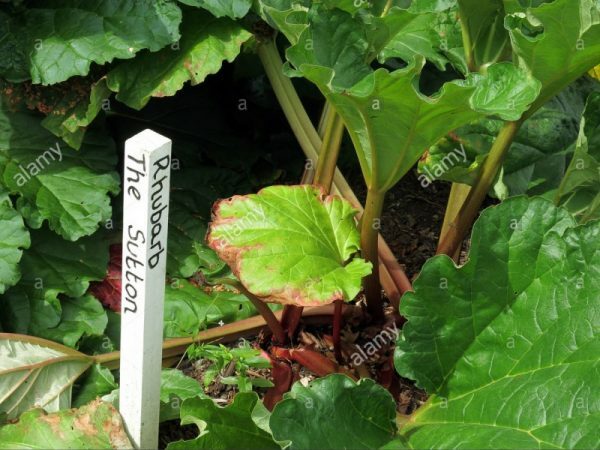 But when it is time to harvest your rhubarb, in most zones, you should prepare to have a full harvest when your plant has around ten stalks on it. Be sure to leave at least two stalks each harvest to encourage continual growth. Yet, if you are growing rhubarb as an annual, then you should harvest the entire plant when the summer heat is beginning to get to the plant. When the harvest season has ended each fall, it is important to take care of your rhubarb. You’ll know that harvest is over because the stalks will begin to die back. Once this occurs, you’ll want to cover the plant with a large helping of mulch. This will protect the plant and the mulch will compost and put nitrogen into the ground. 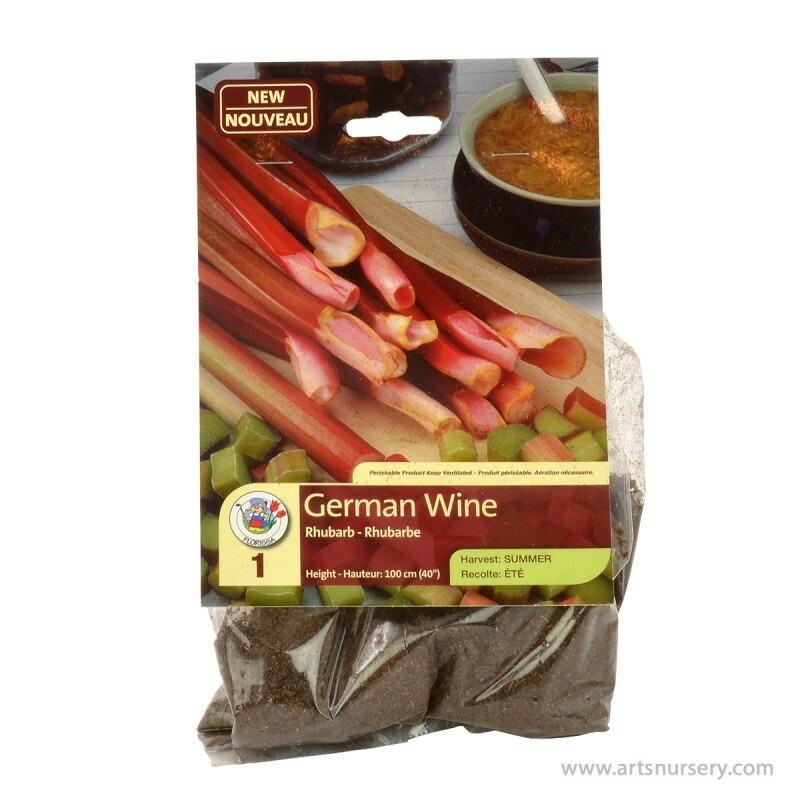 This will give your rhubarb a nice boost come spring. However, be sure that you clean up any debris on or around your plant to make sure that the plant will stay healthy, and you aren’t providing homes for pests and diseases that could harm your rhubarb. 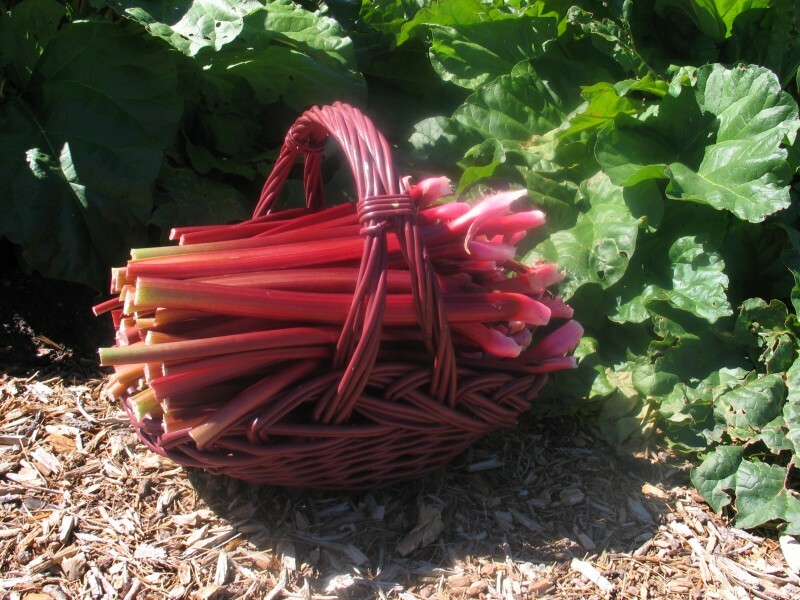 When it comes to storing rhubarb, it is simple. For best flavor, you’ll want to utilize your rhubarb immediately. This will ensure that it keeps its crispiness. Remember, rhubarb is great for baking and freezing for later use as well. However, if you aren’t able to get to cooking with it or storing it, then you should store it in your refrigerator where it is cool. It can keep up to a week. Be aware, however, that the longer rhubarb sit, it will lose its crispy texture. Some say you can soak stored rhubarb in water to put some life back into it, but it will diminish the flavor some. Let’s say you’d like to start more rhubarb from seed, and you don’t want to purchase the seeds. Some stalks of rhubarb, in theory, should try to go to seed at some point during the season. Usually, when this happens, we encourage you to cut those stalks off to try to prolong production. However, if you want seed, you can let those stalks grow and collect the seeds that should form at the ends of them. Then you cut the seed stalks off and prepare your rhubarb to be overwintered by mulch. You’ll want to dry the seeds in a dehydrator before you store them over the winter. You can also store the seeds in a freezer inside a Ziploc bag. Well, you now know a lot about rhubarb. You should be prepared to grow it, care for it, harvest it, and store it too. But I’d like to hear from you. Do you grow rhubarb? Do you have any growing tips? What do you use rhubarb for in your kitchen?